Every year, around this time, Godzilla returns home from wherever he winters. It’s a momentous occasion. 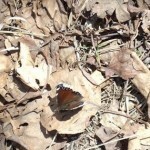 His arrival heralds the beginning of Spring. Forget the vernal equinox, forget daylights saving. 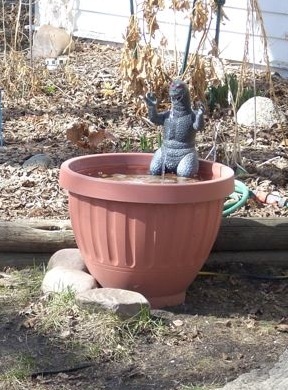 When I see Godzilla perched in his terra cotta bowl, spewing water, then and only then is it Spring. Today is the day, and all I can say, is welcome home, Godzilla! Welcome home. Godzilla lives down the street from me, on a route that leads directly into the ravine. I don’t know his people, just the reptile and his water fountain, so I hope they don’t mind that I took this picture. I’m just glad I brought my camera today. I don’t always, and it’s usually on those days that I see the pileated woodpeckers, and last year, the moose. 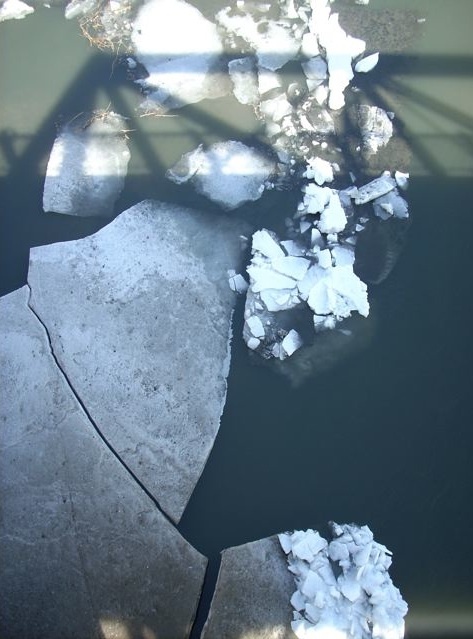 The ice is breaking up on the North Saskatchewan, and butterflies are flying around my head, casting shadows ahead of me. And now, Godzilla. It was a great walk today. 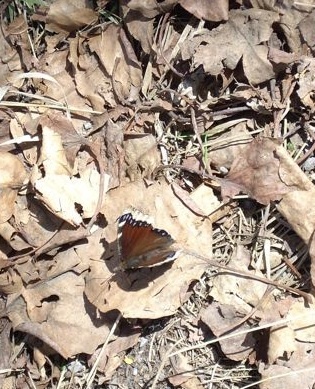 A Spring walk.